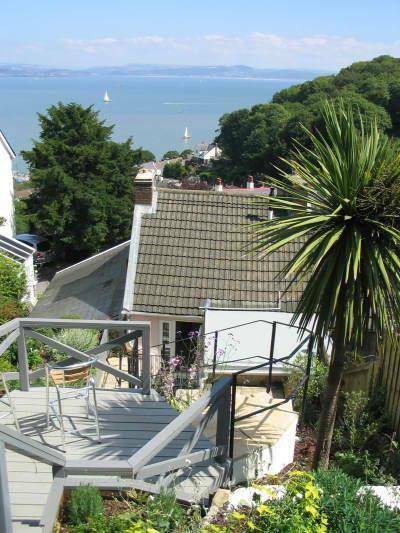 Periwinkle is the ideal holiday home for couples or families and is within walking distance of Mumbles and its excellent selection of cafes, boutiques, restaurants and pubs as well as the beautiful sandy beaches of Gower. 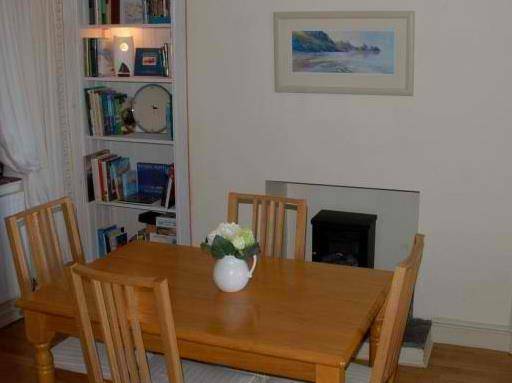 Be on the sea front in just five minutes or walk to Caswell Bay or Langland Bay in 25-30 minutes along the scenic coastal footpaths. There are many beautiful walks in the area so whether you prefer coast or country, there is something to suit all. 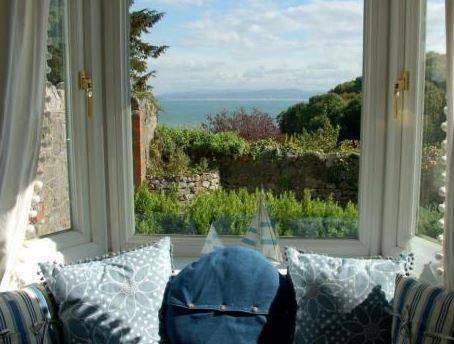 Charming Periwinkle Cottage is a fisherman's cottage enjoying stunning sea views over Swansea Bay. 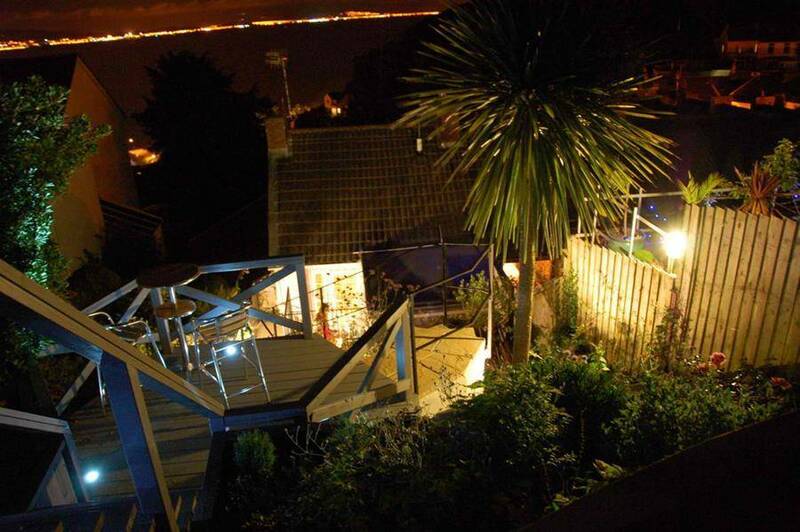 Set in a quiet, with little passing traffic and is sheltered from the prevailing winds, sheltered and secluded position just a few minutes walks from cafes & pubs, the private road has been laid to gravel and the parking space is immediately outside and a terraced garden with a small deck and a large patio (with outdoor dining furniture) overlooking the sea. Pretty in pink, the holiday cottage is tucked away at the end of the terrace. The bench is an excellent spot for morning coffee as it catches the sun and looks out over the bay. 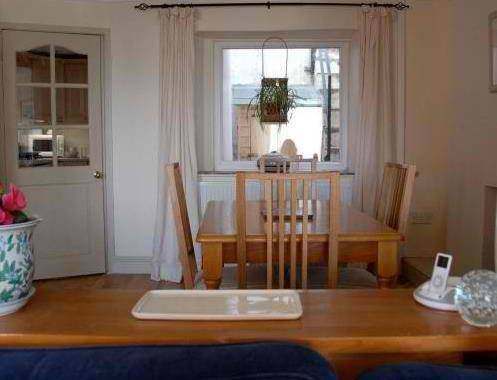 It is centrally heated and double glazed throughout and has a private parking space. 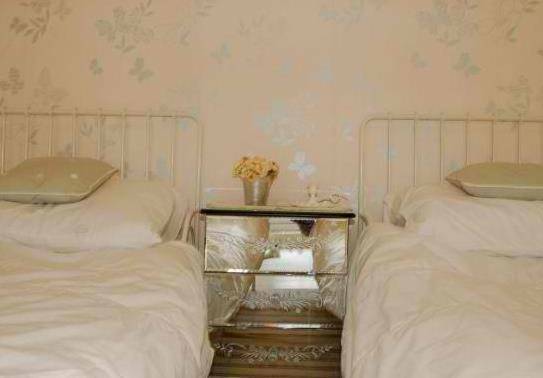 A welcome tray with Welsh cakes and milk is provided on arrival plus complimentary toiletries and bath towels. The cottage has a folder of local tourist information and there is a small selection of DVDs, games and hardback books. A cot (without linen), highchair, stair gate and night lights are provided at no extra cost if required. 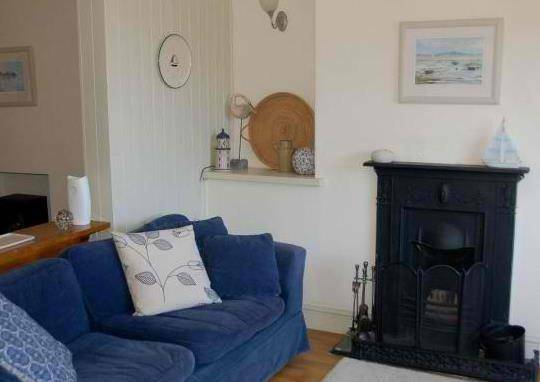 The living room looks straight out to the sea and Mumbles Head with the window seat in the bay window proving a favourite spot to watch the nautical world go by. The oak floor is softened with rugs and two sofas offer plenty of comfortable seating. Adjustable lighting, limited edition prints, interesting objets d’art, an open fire and a stable door all add to the charm of the cottage. 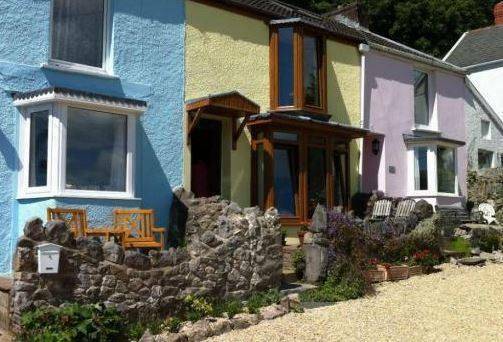 -Welsh Tourist Board 4 star graded -WTB accredited for walkers & cyclists -two bedrooms, sleeps four + cot -king size four poster bed with sea view! 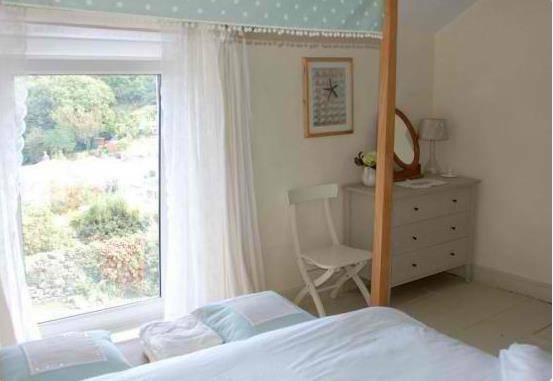 -two single beds in twin room -wi-fi included -a travel cot & highchair available -2014 news flash! Lovely new fitted kitchen!